Understand the history of bitcoin. Bitcoin is a revolutionary new currency...the future of money. Bitcoin is a network protocol and software that makes the currency work. But it is also much more than either of those. Bitcoin is a community with a shared history and experience that new users can't just buy on an exchange or download onto their smartphone. That history and those experiences are vital to understanding the advice given to new users, potential investors, and curious onlookers. Bitcoin: A Concise History is a timeline of bitcoin's defining moments, from before the release of Satoshi Nakamoto's white paper, through scams and scandals of MtGox and Bitcoin Savings and Trust, through the bubbles and the births of popular memes that confuse new users to this day. You must understand bitcoin, the community and its history. What are the key events that caused or coincided with massive price movements? Why are people so adamant about not leaving bitcoin in an exchange? What the heck does "HODL" mean? Why are there different versions of the bitcoin software? What are bitcoin's philosophical roots? The basics about Bitcoin Blockchain was discussed thoroughly in this book which helped me understand it further. I now know how to use it for online purchases which is much more secure than using my credit card which contains my personal information. This book is persistent in terms of giving virtual concepts. You can find it easy and reliable based on how Bitcoin is in demand. The precautions are heuristic however great tips were enclosed to make your platform a better fast start. I discovered a secured future with the use of bitcoin . its well written with bold letters , easy to read and understand. A good book to gain an understanding of what Bitcoin is about and a strong indication of Digital Currency's that is trying to catch on the BITCOIN bandwagon and an innovative payment network and a new kind of money and Bitcoin are really a good currency for all Individual Business for all.Plus an excellent recent history of bitcoin and the major players involve, a must-read for anyone trying to educate themselves on this development. Very informative, interesting, and well written. The helpful benefit of this book is that it answered my question about mining bitcoin and gave hope to me for its future. I discovered a secured future with the use of bitcoin. You can find it easy and reliable based on how Bitcoin is in demand. I would not be surprised if it will be used as a currency for most good and services trade in the future. Very helpful for beginners like me. A very interesting and useful book on how to get, send and receive bitcoin.This currency is gaining popularity now. This good and simple introduction will help me get started in case I become interested to really pursue it in the future.If you don't know anything about Bitcoin- this book is for you. 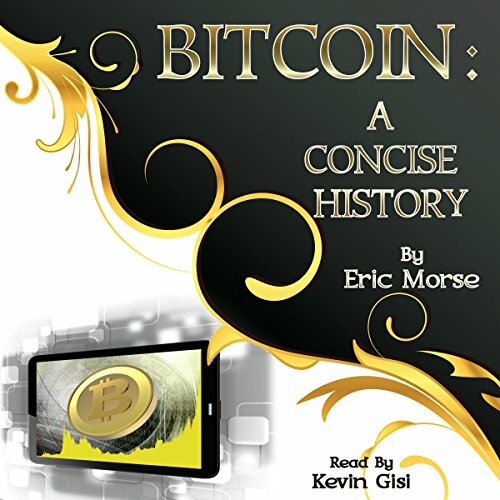 This book presents a timeline of Bitcoin. Recommended to all. This is a really a great guide book about Bitcoin. Bitcoin is mainly currency and it's a community of users, developers etc. This book really helps me a lot. I can understand about the different about Bitcoin and the currency. Perfect level of detail. Excellent readable timeline. I feel like I joined the Bitcoin party late but I bought this book and an hour later I feel like I have a solid understanding of Bitcoin's milestones.